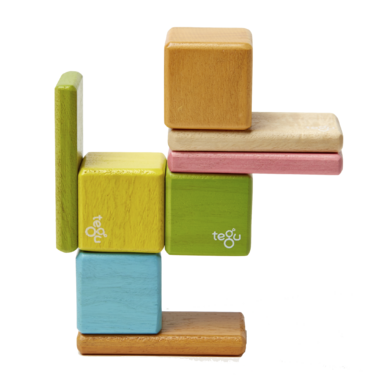 Tegu's award winning building system combines the timelessness of wood with the magic of magnets. In little hands with big imaginations, a blue block becomes a swimming pool, and a yellow plank a school bus. 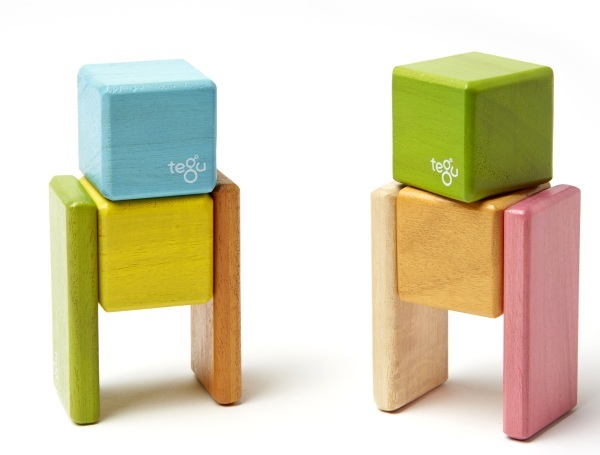 Every Tegu piece is designed to work together regardless of colour, set, shape or theme. Little builders can confidently grow their collection as their buildings get taller, their canyons wider, and the unicorns bigger. Suitable for ages 1 - 99. Excited to to give this as a 1st bday gift to a special little girl. Hope she loves it! My son has had this set for four years, then we added the Prism set (also with the carry pouch). He still plays with these and they still look great. He is a super busy kid and these blocks will keep him quiet in a restaurant or airport or whatnot. Every parent needs this in their arsenal! Her older sister plays with her too, I know these will come in handy when we're out and about! 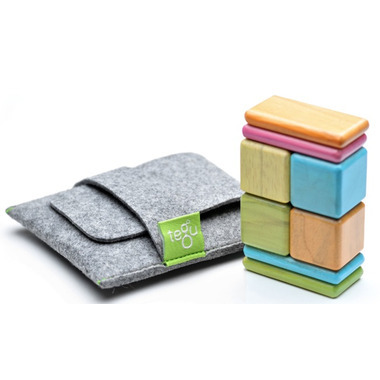 We have these blocks in our diaper bag for entertainment at restaurants, dr offices etc. They work great and are nicely stored in the pouch. They keep the adults and toddler entertained. These are such great toys. The wood is high quality. The felt bag it comes in looks and feels exactly like it looks in the picture. The colours of the wood are pretty much exactly as shown. And the most important part - the kids are loving them. They have been playing with them every day since they got them for christmas.